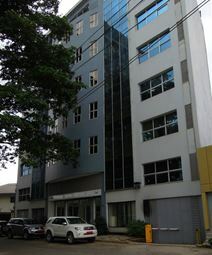 Office Space - Douala, . The centre has 5 floors of office space and a floor for housing, in addition to the ground floor and mezzanine. Also available in the business centre are 2 conference halls for meetings or exhibitions, one meeting room for 6 to 8 participants and a panoramic terrace with sea view for business events and receptions on top of the building. There is also a secure underground car park with manned security and gated access.